This obviously isn’t as good as being there, but it gives you a sense for how great it was. Enjoy! This book is simply one of the best I’ve ever read. In my sermon last Sunday, I talked briefly about the surprising good news of marriage’s “no escape clause.” It’s good news, I said, that we’re “stuck” to the person to whom we’re married, at least in the short run. Even with no-fault divorces, divorce remains (thank God) costly and difficult. What can keep marriages together during the rough patches? The vows. A public oath, made to the world, keeps you “tied to the mast” until your mind clears and you begin to understand things better. 1. Timothy Keller, The Meaning of Marriage (New York: Dutton, 2011), 92. I grew up in a Southern Baptist church tradition that tended to emphasize the importance of discerning and then doing God’s will for the individual believer’s life. “God’s will,” in other words, was one blueprint—inflexible and individualized for each person. If you followed it, you would be blessed; if you failed to follow it—and we used the language of “missing it”—too bad for you. You were “out of” God’s will. When I was growing up in church, a church that held “testimony time” every Sunday evening (and my dad was the pastor so I had to be there whenever the doors were open for worship, Bible study or prayer meeting!) a sweet little older lady often spoke of how cursed her life had been because she didn’t follow God’s will for her life. That struck terror in my heart. I was taught by my spiritual mentors that that is the result of “missing God’s will.” I formed the impression, as do many young Christians, that God has a blueprint plan for my life and that it’s my job to find out what it is and follow it—to construct my life according to it. Where to go to college was one big issue for me. Whom to marry—another major issue. What profession to pursue. What job to seek and which job offer to take. All these have been major decisions of my life. And let me assure you that God has led me, but not according to an inflexible blueprint such that any deviation from it brought only misery and a cursed life. God always has a “Plan B.” Exactly! As I argued (and many nodding heads in the congregation confirmed), marriage is difficult no matter whom you marry. Our spouse, after all, is the only human being who gets to see us at our absolute worst. How can that be easy? We human beings are all such terrible sinners. Therefore, there is no “soulmate” out there with whom marriage won’t be, at times, incredibly difficult. Fortunately for us, we leave room for God’s all-sufficient grace. Which is another way of saying, there’s always a “Plan B.” By that, I don’t mean, let’s get divorced and start over with God’s new plan for us. Although even divorce—which in the vast majority of cases (I believe strongly) is a tragic mistake—can be redeemed by God. No, I mean two things: First, that once we’re tempted to imagine that we married the “wrong” person and our marriage isn’t working out as we planned, there’s the good news of God’s grace: God shows us Plan B within this existing marriage. 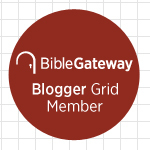 Second, even if we did marry “wrong” person—by which I mean a less suitable partner than we might have otherwise chosen—there’s the good news of God’s grace: even this “Plan B spouse” can work out. I suppose someone might accuse me of being naïve and overly optimistic. I don’t care. It’s only because I believe so strongly in God’s grace and his power to redeem our mistakes. Besides, as I indicated yesterday, I’m a Plan B husband at best, and God is redeeming me! † Timothy Keller, The Meaning of Marriage (New York: Dutton, 2011), 34-5. 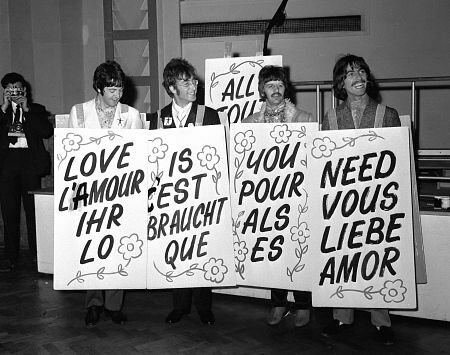 “All you need is love,” the Beatles famously sang. Were they hopelessly naive and idealistic? In light of events in Boston last week (not to mention the Vietnam War in 1967, when the song was #1 on the charts), we should be forgiven for thinking so. We may rightly ask, “How will love protect us from senseless violence?” And the answer is: It won’t. Ultimately, nothing will—certainly, nothing that money can buy. We can’t trust in ourselves for true security and peace. Can we trust instead in the One whose very nature, according to 1 John, is love? One guest on the most recent Valentine’s Day episode of This American Life, Kurt Braunohler, certainly endorsed this viewpoint. He and his girlfriend, his high school sweetheart, had been together for 13 years, but they had never gotten married. One thing was holding them back, they came to believe: they had never been with anyone else romantically or sexually. What if there was someone better out there for them? So they decided that they would take a month-long break from their relationship—the secular New York City equivalent of the Amish Rumspringa. And during that month, they would allow themselves to sleep with other people—which they did. One month turned into many months. The couple finally decided to break up entirely. Read what Kurt took away from this experience. Then read what Ira Glass, the married host of the show, says in response. KURT: I do have a theory now that if I do get married in the future, what I think I would want to do is have an agreement that at the end of seven years we have to get remarried in order for the marriage to continue. But at the end of seven years it ends, and we can agree to get remarried or not get remarried. KURT: Because you get to choose, and I think it would make the relationship stronger. IRA: I don’t know what I think of that, because I think that one of the things that’s a comfort in marriage is that there isn’t a door at seven years. And if something is messed up in the short-term, there’s the comfort of knowing, like, we made this commitment, and so we’re going to work this out. And, like, even tonight if we’re not getting along, or there’s something between us that doesn’t feel right, you have the comfort of knowing, like, you’ve got time to figure this out. And that makes it so much easier! Because you do go through times when you hate each other’s guts. And the “no escape” clause is a bigger comfort to being married than I ever would have thought before I got married. Guess whose side I’m on? Keller contrasts the stick-to-itiveness of marriage that Glass describes (not to mention the Bible) with the consumer mentality that Kurt describes. If Kurt had his way (and I suspect he’ll outgrow this particular conviction), he and his future wife would have to keep selling themselves. I’m exhausted just thinking about it! While I’m not endorsing the singer’s viewpoint, here’s the beautiful young Joni Mitchell singing what will become the second track on one of my favorite albums, Blue. 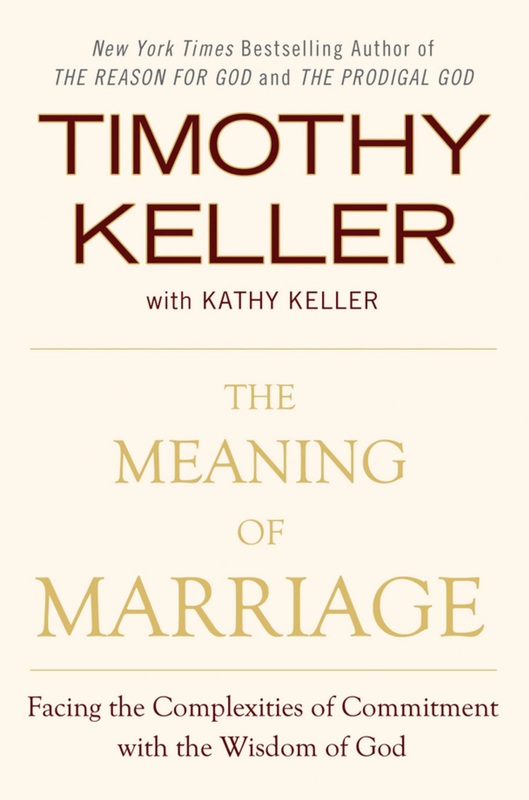 † Timothy Keller, The Meaning of Marriage (New York: Dutton, 2011), 85. Do we need to “make sense of” Boston? HuffPost Religion’s Twitter feed thought I would like this article by the Rev. Ian Punnett in response to the Boston Marathon bombings. I don’t. I’m reminded of this scene in the great Robert Duvall movie The Apostle. Duvall’s mother, played by June Carter Cash, explains to a neighbor: “Ever since he was a little bitty boy, sometimes he talks to the Lord and sometimes he yells at the Lord. Tonight he just happens to be yellin’ at him.” Beautiful! Nevertheless, I disagree with the author’s premise that something happened in Boston last Monday that we need to make sense of. Don’t get me wrong: I want to understand what possessed these two men to do this particular evil—let’s learn from it whatever we can. If there’s something we can do that will contribute to greater safety at public events such as this one—far short of turning our country into a police state—by all means let’s do it. But therein lies part of the “answer” to what happened last Monday. God didn’t create the world as a universal police state in which he continually intervenes to prevent human beings from doing what they freely choose. If God regularly did this, how could we human beings be free in any meaningful sense? My point is, nothing happened last Monday that we didn’t understand perfectly well on Sunday. We shouldn’t be surprised that there’s evil in the world. Isn’t there plenty of it in our own hearts? Be angry at God if you like, but be angrier at the sin, evil, and suffering that God sent his Son Jesus to defeat through his death and resurrection. The following Lewis quote is from God in the Dock, excerpted in my C.S. Lewis Bible to go alongside the Rich Young Ruler of Mark 10:17-31. (This Sunday our text is Matthew’s version of the same story.) Because of the danger that money, possessions, and intangible “riches”—like good fortune, health, and popularity—pose to our souls, God may take these things away from us as punishment. † C.S. Lewis, “Money Trouble,” in The C.S. Lewis Bible, NRSV (New York: HarperOne, 2010), 1123. 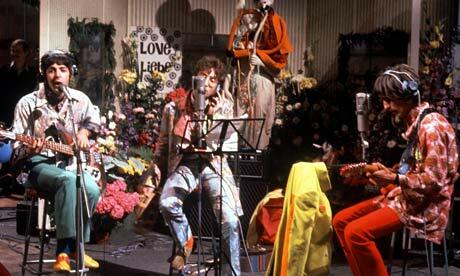 “All you need is love,” the Beatles famously sang. Were they hopelessly naive and idealistic? In light of events in Boston this week (not to mention the Vietnam War in 1967, when the song was #1 on the charts), we should be forgiven for thinking so. We may rightly ask, “How will love protect us from senseless violence?” And the answer is: It won’t. Is this kind of faith all you need? I don’t know, but it’s a good start.